They are unspecialized, meaning they have no specific function in the body. They have the capacity to become specialized cells such as brain cells, muscle cells, and blood cells. They can divide and renew continually over a long period of time. 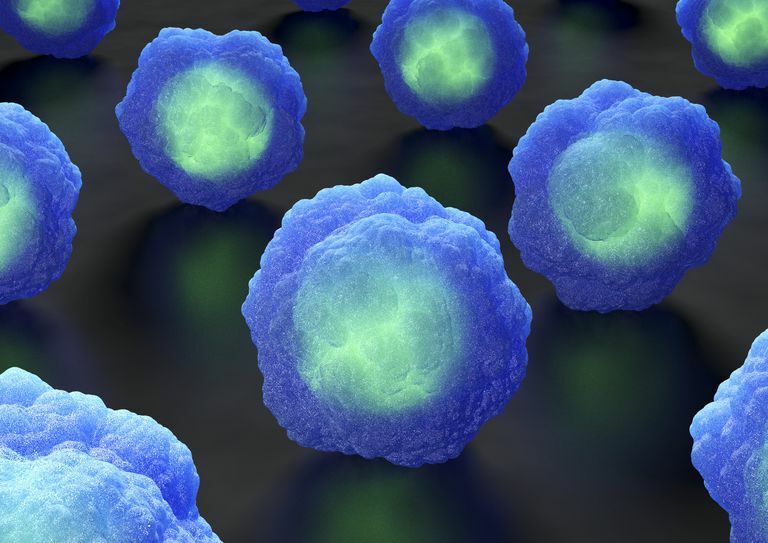 Hematopoietic stem cells are transplanted into a person with cancer to help replenish bone marrow. The procedure is often used when high dose chemotherapy effectively destroys the existing stem cells in a person’s bone marrow. Years ago, the only source for hematopoietic stem cells were those taken from bone marrow. It was soon after discovered that many of these cells were circulating freely in the bloodstream. In time, scientists learned how to harvest these cells from circulating blood and to transplant them directly into a donor. This type of transplant— known as a peripheral blood stem cell transplant, or PBSCT — has become the more common procedure, although both methods are still used. PBSCT is far less invasive and doesn’t require the removal of marrow from the hip bone. Embryonic stem cells are controversial since they are derived from human embryos that have either been destroyed or harvested for science. Embryonic stem cells were first grown in a laboratory in 1998 for reproductive purposes. Today, they are used primarily for research into treatments or cures for cancers, blindness, juvenile diabetes, Parkinson’s, spinal cord injuries, and genetic disorders of the immune system. Embryonic stem cells are pluripotent, meaning they are able to grow into the three types of germ cell layers that make up the human body (ectoderm, mesoderm, endoderm). In other words, they can develop into each of the more than 200 cell types if specified to do so. iPSCs were first developed in 2006 and pose one major advantage over somatic and embryonic stem cells: they can be made in a patient-matched manner. What this means is that a lab can tailor-make a pluripotent stem cell line individualized from a person’s own cells or tissues. Simara, P.; Motl, J.; and Kaufman, D. “Pluripotent Stem Cells and Gene Therapy.” Transl Res. 2013; 161(4):284-292. Al-Shamekh, S. and Goldberg, J. “Retinal Repair with Induced Pluripotent Stem Cells.” Transl Res. 2014; 163(4):377-386. Finkbeiner, S. and Spence, J. “A Gutsy Task: Generating Intestinal Tissue from Human Pluripotent Stem Cells.” Digestive Diseases and Sciences. 2013; 58(5):1176-1184.